The Florida Healthy District Award was created by the Florida Partnership for Healthy Schools, formerly known as the Florida Coordinated School Health Partnership, to recognize school districts that have implemented policies, practices, and procedures that support health and remove barriers to learning. Districts interested in being recognized for their efforts work in teams to complete the annual Florida Healthy School District (FHSD) Self-Assessment Tool to measure how their current policies, practices, and procedures align with the highest standards of the Whole School, Whole Community, Whole Child (WSCC) Model. Districts meeting these highest standards will have a positive impact on the health of students and staff and earn recognition at the bronze, silver and gold levels. School district policies and administrative support are essential to sustaining programs and activities that remove barriers to learning. In Florida, the Departments of Education (DOE) and Health (DOH) have benefited from a longstanding and formal agreement supporting efforts at the state, district and school levels to build a strong CSH/WSCC infrastructure. 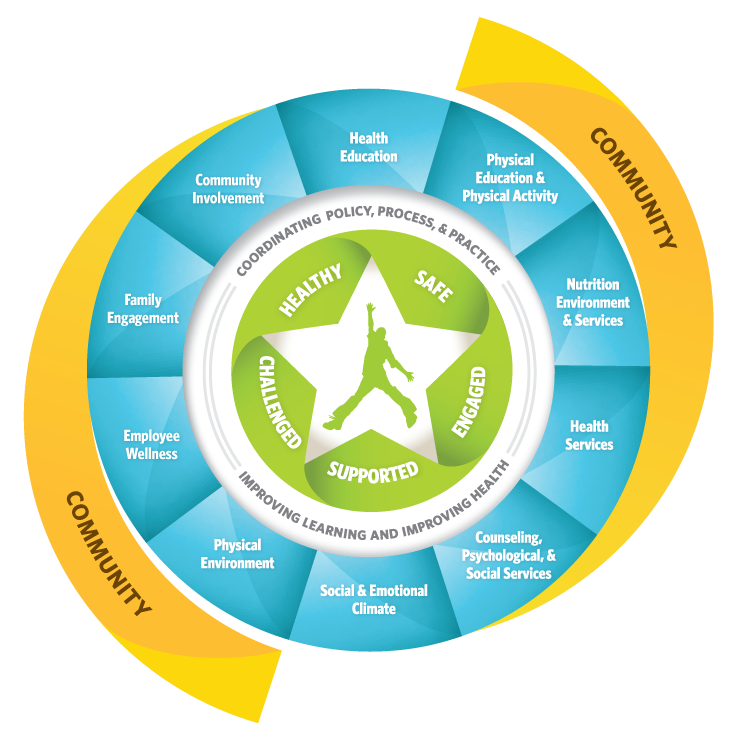 These models employ the support of families, communities, and schools working together to improve student health and to increase learning capacity. In 2009, eight districts completed the first FHSD Self-Assessment Tool and were recognized at the bronze and silver levels. Each year moving forward, additional districts voluntarily completed the self-assessment and reported great benefit from going through the process with their district teams. In 2018, 50 out of Florida’s 67 school districts were recognized as Florida Healthy School Districts. The designation is for a two year period and there are currently 15 gold, 23 silver and 12 bronze level districts.